We all know that walking can help us on our path to a healthy lifestlye. In fact, I start each year with a plan to walk more - my goal is to move more and eat less. Sometimes it works great, and other times I need more encouragement along the way! 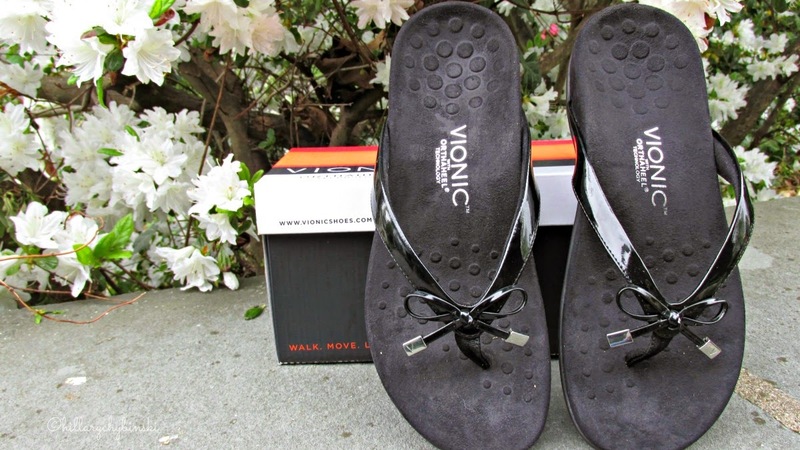 But foot pain, can really put a damper on your walking routine, so Vionic Footwear, sent me a pair of sandals to try out and share my thoughts. Vionic with Orthaheel Technology offers the only products that have earned both the APMA Seal of Acceptance and recommendation from world-renowned integrative medicine expert, Andrew Weil, M.D. Do you have a #SoleStory? Have you ever suffered from foot pain? So many people I know, myself included, live with foot pain of some sort; plantar fasciitis, arthritis or heel pain just to name a few. My #SoleStory is arthritis. So far it's not too bad, and it affects me mostly in the mornings. Some mornings my feet hurt when I wake up; I know it the minute my feel hit the floor.Well, the right shoes can help. 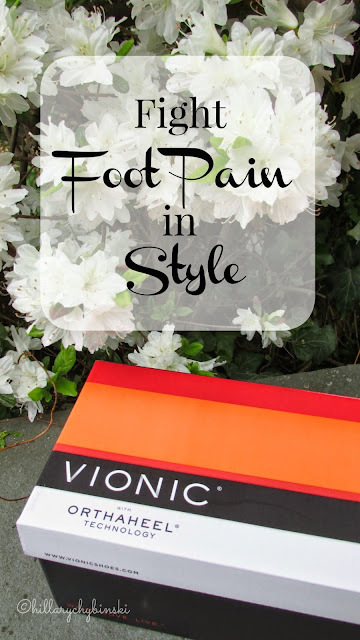 All Vionic shoes come with trusted orthotic technology built right inside. This Orthaheel Technology is designed to provide you with proper alignment, which can help reduce common aches and pains from the ground up. Natural healing that's stylish too! I adore these kicked-up flipflops. They look great with jeans, shorts, ankle pants and even skirts too! The best part is that I can walk in them all day and my feet feel (and look) great. With plenty of styles to choose from, you're bound to find the perfect pair of comfortable, stylish shoes that are also great for your feet! What's your #SoleStory? Oh I like those! I always buy cheap cheap flip flops with no arch and then my feet/legs suffer. Thanks for sharing! I think I need these! foot massage machine is a very important tool to get relief. Our feet faces all our trouble and pain therefore,it needs more care.A foot massager helps to get relief from foot aches and it takes care our feet a lot.